Eric Zeitler has a strong knowledge of the financial services industry, its products, processes and culture. Eric employs his 19 years of experience as an advisor, broker, and investment manager to help extend his comprehension to his clients. Eric obtained his Accredited Investment Fiduciary in 2014. 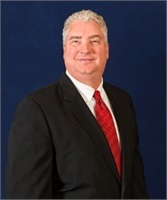 Eric obtained his Chartered Retirement Plan Specialist and Chartered Mutual Fund Counselor designations from the College of Financial Planning early in his career and is experienced with Employer Sponsored Retirement Plans. Eric's focuses are investment management, financial planning, employer sponsored retirement plan solutions, group benefits and service. Eric holds his Series 7, 26, 63, and 65 FINRA licenses, along with his Group 1 Insurance License. Eric graduated from Angelo State University with a bachelor's degree in Business. Originally from West Texas, Eric has lived in San Antonio for the last 21 years and is married to his beautiful wife Kelly. Eric and Kelly have 2 children. Eric enjoys golf, hunting, volunteering at church and spending time with his family.